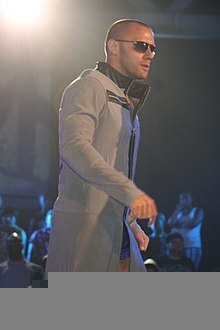 Steven Haworth, better known by his ring name Nigel McGuinness, is an English-American professional wrestling commentator and former professional wrestler. He is currently signed to WWE as a colour commentator for 205 Live, NXT, and Main Event. As a wrestler, he is perhaps best known for his tenure with Ring of Honor in the United States and Pro Wrestling Noah in Japan. He held the ROH Pure Championship for a record 350 days and is a former ROH World Champion, holding the title for 545 days. From October 2009 to June 2011, Haworth wrestled for Total Nonstop Action Wrestling under the ring name Desmond Wolfe. This would be his last run as an in-ring performer. He returned to ROH in August 2011, working as a colour commentator, and officially retired from in-ring competition on 17 December 2011. He left ROH in December 2016 and signed with WWE soon thereafter. This entry was posted in All the Nigels and tagged wrestler. Bookmark the permalink. Nigel – on the brink of extinction?